Mount the unit in the cabin of the vehicle where it can be observed by the driver and preferable be out of direct sun light. 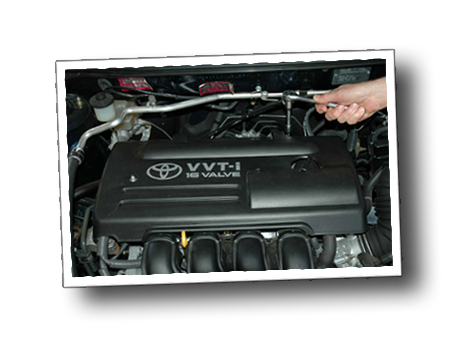 Mount the sensor where it will reflect the engine temperature correctly, or as near the heat source as possible. 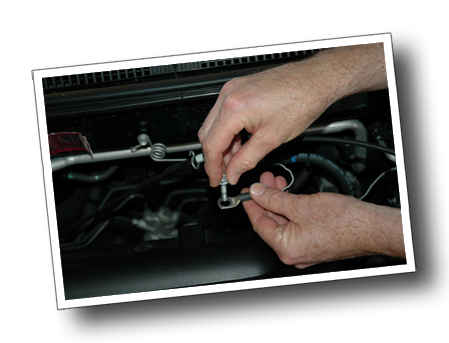 Examples are under a tappet cover bolt that is away from the exhaust ports to monitor cylinder temperature or a thermostat housing bolt to monitor coolant and the block temperature. system or the exhaust system. Should any of the wires be in danger of physical damage, protect them with the spiral wrap provided. If hard wiring, cut the plug off and split the wires apart. ( NOTE, it is recommended to connect the sensor, then plug the unit into the lighter socket and test the unit before cutting the plug off). Next connect the red half of the of the power cable to the battery positive via the ignition switch. This option is standard on TM2's and is only suitable for vehicles with a existing dash mounted oil light using a standard oil light sender. NOT USED FOR GAUGES. Connect the orange wire to the top of the oil sender along with the exist oil light wire, when the light is on the buzzer will sound. Whenever the unit is first powered on, the temperature set in the alarm memory will momentarily display, then the engine temperature will display and continue to update every two seconds (display will blink). When the engine temperature exceeds the preset alarm temperature, the 'High Temp' light will display and the buzzer will sound for as long as this state exists. Pressing the ‘Set Alarm‘ button will firstly display the alarm temperature, then it will slowly advance one number at a time for three counts, then speed up as long as the button is depressed. After 127 it will start back at 1. 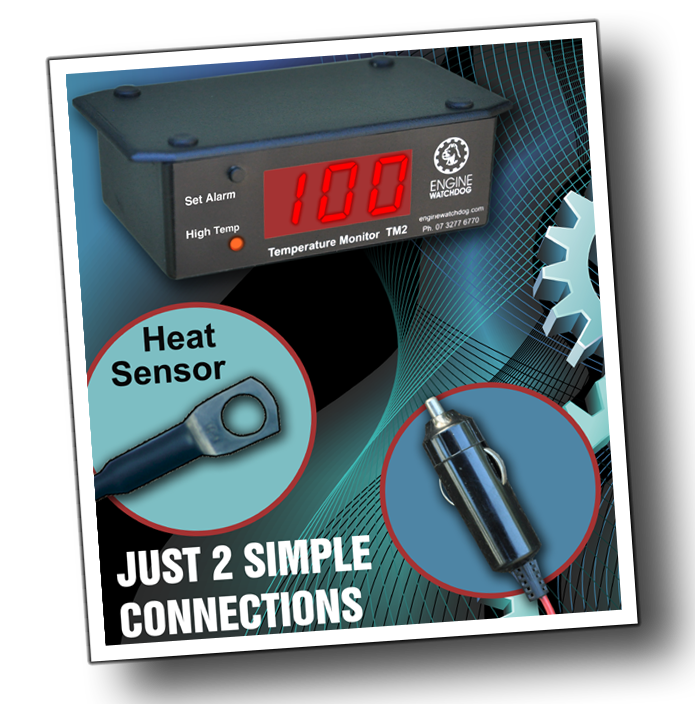 The alarm temperature on the standard TM2 model can be set between +1 and +127 degrees Celsius. The “Set Alarm” button is inhibited if the sensor temperature is below +1 degree, or above +127 degrees Celsius. ‘Set Alarm’ button will not work – Function may be inhibited if sensor temperature is under +1 or over +127 degrees C.
Display blinks every 2 seconds – This indicates the unit is updating the temperature every 2 seconds, 88 may be seen quickly between blinks. Display just reads 85 with no alarm – Sensor temperature is over 150 degrees, move sensor location to <127 degrees C.